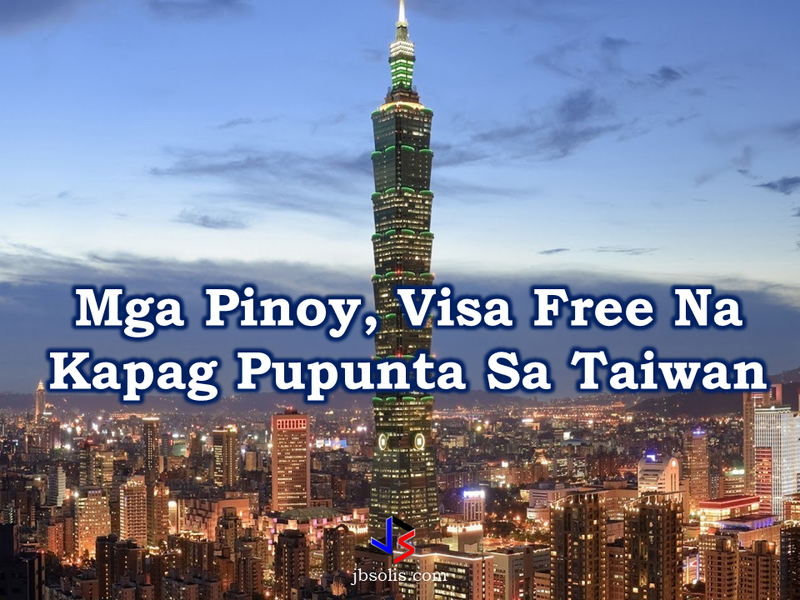 Taiwan will finally allow visa-free entry for Filipinos in hopes that the country will reciprocate the gesture, a spokesman for the self-ruled island's cabinet said in a Reuters report. The Philippines recognizes the "one China" policy under which Manila acknowledges the Chinese position that there is only one China and Taiwan is part of it. 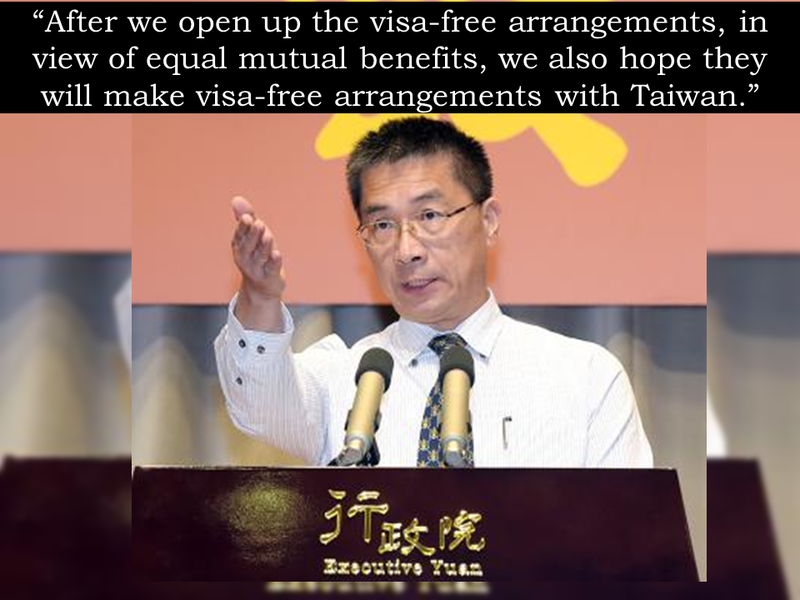 There is no existing diplomatic relationship between the Taiwan and the Philippines and yet, Taiwan is giving the visa-free privilege. The visa-free policy will take effect as decided by its foreign ministry. The spokesman of Taiwan's executive yuan Hsu Kuo-yung said that it is more likely to take effect in October or November. 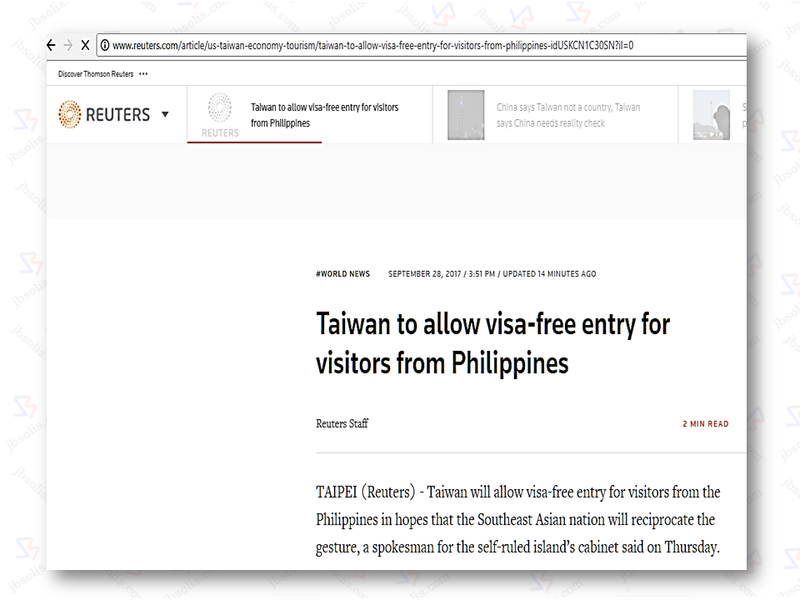 Taiwan's visa-free policy for the Philippines was earlier announced early this year, but was later postponed.